Insolvency filings by three long-standing European airlines since early May are part of a slow and ongoing consolidation of the European aviation market, analysts say. Yet, they are quick to add, Europe’s market shows no signs of consolidating to near the extent of the U.S. airline industry, which saw 11 major carriers merge into four between 2004 and 2015. The recent spate of European airline bankruptcies began with Italian legacy carrier Alitalia, which initiated insolvency proceedings, the European equivalent of bankruptcy, on May 2, a week after its employees rejected a cost-cutting plan designed to make the chronic money loser profitable. 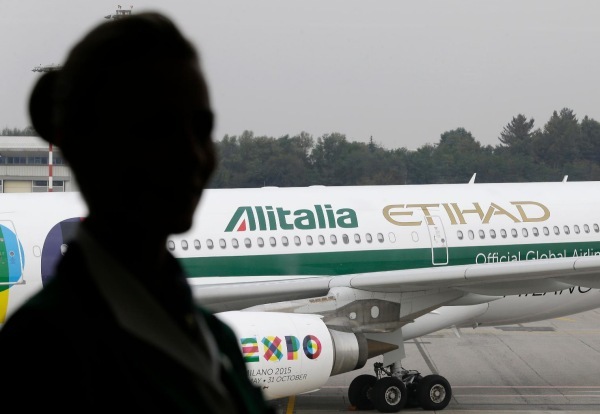 Alitalia was followed by Air Berlin, which filed for insolvency in mid-August after losing more than $1.2 billion over the course of 2015 and 2016, and after 29.2% shareholder Etihad decided it would not infuse the German carrier with further funds. Third to fall this year was the British leisure carrier Monarch Airlines, which abruptly ceased operations on Oct. 2. The airline, which had been in business for more than 50 years, primarily serviced Mediterranean destinations from England. Air Berlin, too, will cease operations, with its last day of flying set for Oct. 28. The carrier has been in discussions with Lufthansa and EasyJet for the acquisition of portions of its fleet, as well as for its valuable landing slots in Dusseldorf and Berlin Tegel airports. Alitalia remains in the sky for now, thanks to multiple bridge loans from the Italian government. But in bids submitted as part of the insolvency proceeding on Oct. 16, the Lufthansa Group and EasyJet said they are only interested in purchasing portions of the airline. If Alitalia does stay in the skies, all signs are that it will be in an altered, smaller form. A common cause in the failure of all three airlines was the difficulty they had competing in the intra-European market with low-cost carriers (LCCs) and ultralow-cost carriers (ULCCs) such as Ryanair, EasyJet, Wizz and Norwegian, Wober said. While LCCs fly 32.5% of the seats in the U.S. market, according to CAPA, they fly 40.4% of the seats in Europe. ULCCs, most notably Ryanair, are especially important in Europe, accounting for 28% of capacity, according to figures presented at an August aviation conference by the U.S. airline Allegiant, a ULCC. In the U.S., Allegiant said, ULCCs account for just 6% of the market. Alitalia, Monarch and Air Berlin also each had long-haul operations that weren’t large enough to compete on level ground with the long-haul networks of major legacy European airline groups Lufthansa, Air France-KLM and IAG (British Airways, Iberia, Aer Lingus and Vueling).